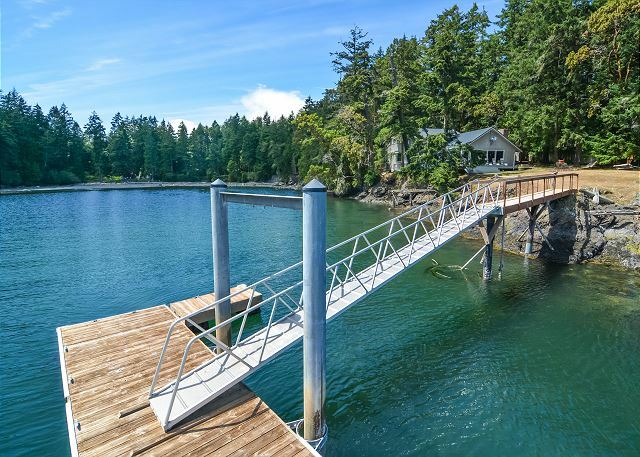 This San Juan Island NW waterfront contemporary house has deep-water frontage. 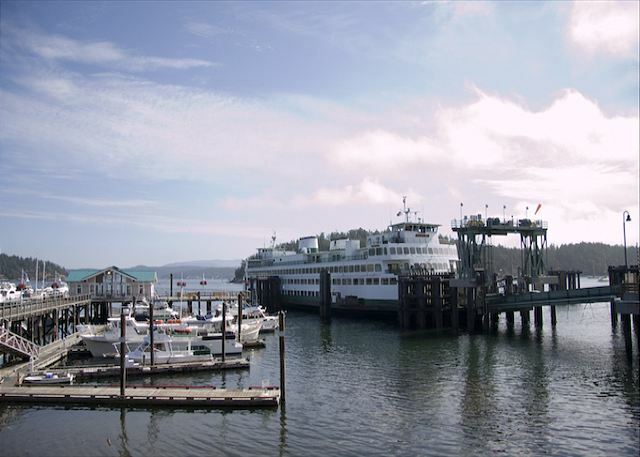 Its large windows frame the magnificent San Juan islands & water views. Relax & dine on large decks overlooking the water at this end-of-the-quiet-road spot. This waterfront vacation rental has a nautical theme. 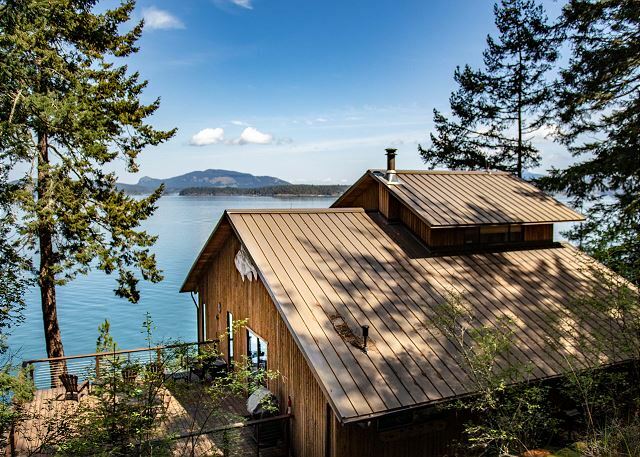 A sweet chalet with enchanting views of deep water, passing boat traffic and Orcas Island. 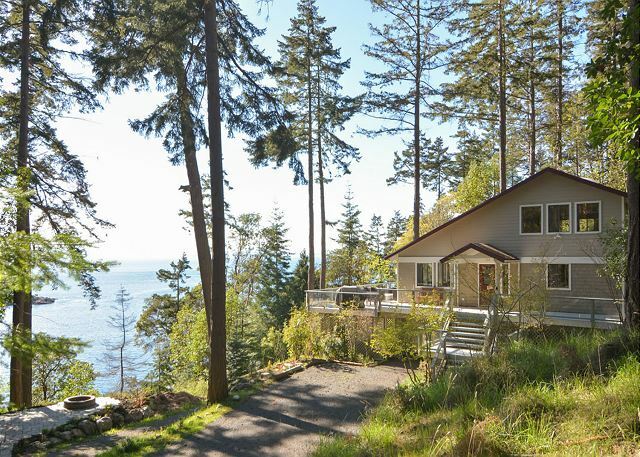 A serene high bank location near Friday Harbor. One of the Ferry Landing Suites, this lovely two-bedroom condo is the epitome of charm and convenience. Only steps from the ferry landing, you can leave the car behind (but there's a reserved parking space when you don't.) Totally delightful year round! 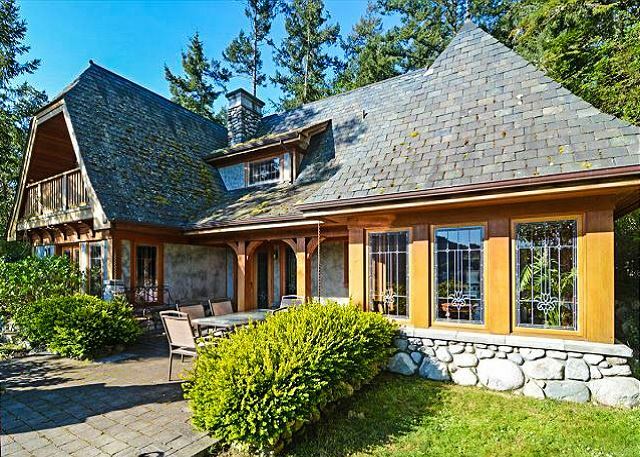 Exquisite, unique, & romantic waterfront chalet with low bank access for kayaks. Incredible kitchen and construction detailing. A magical atmosphere with many delights for couples and small families. 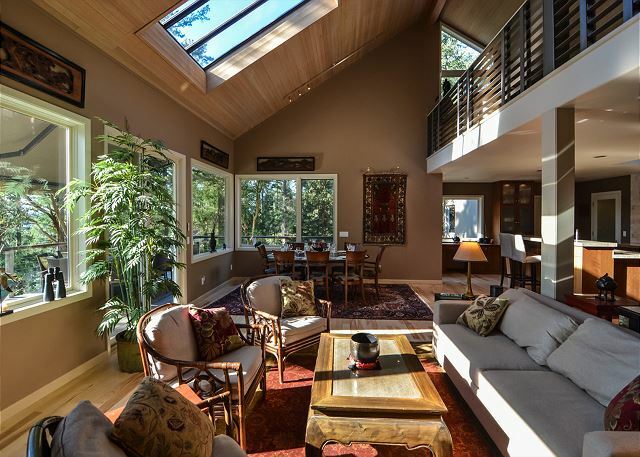 Amazing Roche Harbor location, fabulous view over the marina, stunning design. When it comes to style, setting, and amenity this sophisticated 4 bdrm, 4.5 bath home has no equal. Perfect for multiple couples! 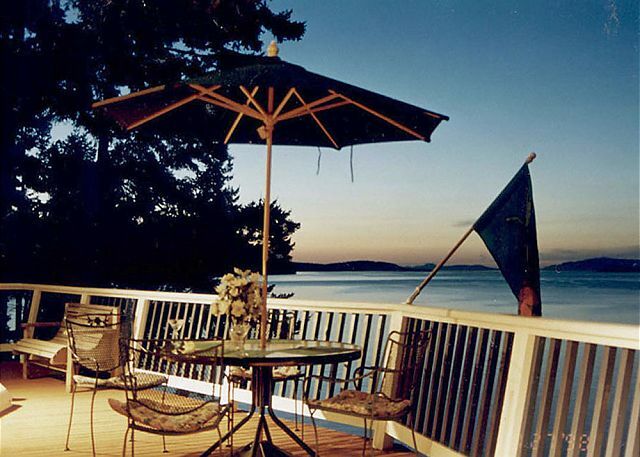 Be dazzled by the glorious views, sunsets, & passing whale pods, in this spectacular San Juan Island waterfront home. Incredible location & amenities, including a peak season hot tub in the summer overlooking the water.